High-strength corrosion-resistant steels with controlled martensitic transformation developed at the V. P. Glushko Energomash Research and Production Association, are studied. The main principles of their alloying and heat treatment are described. 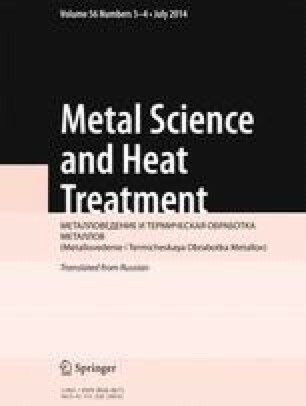 The advantages and prospects of the use of the new steels for making elastic metallic seals and soldered and welded units of liquid-propellant engines with cryogenic fuel components are presented. Translated from Metallovedenie i Termicheskaya Obrabotka Metallov, No. 3, pp. 49 – 55, March, 2014.